Upon arrival, visitors to Bali, especially those arriving at night, receive little in the way of a friendly welcome. The airport feels tired, the queues are long, the taxi queue is chaos, and the street-lighting is sparse. The next morning is an entirely different story. Waking up in Bali is a quite wonderful experience as I found out during a recent trip to the town of Seminyak on the island’s south-west coast for my brother’s wedding. Along with the fine weather and general delightfulness of the Balinese, the architecture is fascinating. It is not overwhelming like, say, Manhattan, but is so different from Brighton & Hove, and in such abundance, that my mind raced constantly. After three flights and a dreadful two days in frightful Dubai, I arrived for my brother’s stag night with minutes to spare. This involved a trip to Kuta (Bali’s Magaluf). When the others were drinking, I was examining the beach wall. The ornately-carved stone structure, not dissimilar to the front wall of a temple, is formed from andesite, the local igneous rock. It got me thinking that perhaps Bali’s wonderful built environment dates from at least a couple of hundred years ago. Whilst passing similar walls which served as the front boundaries of various shops and community temples the next morning, I asked our Balinese taxi driver the age of one very fine example. The dark stone reminded me of the blackened Georgian stone of London which had survived the industrial revolution, war and years of wear and tear. In England, finding somebody to build such a wall would be difficult. I estimated that a similar wall, the width of a house, might cost something in the region of £40,000 in England. The taxi driver mentioned that it had been built two years ago, and cost tens of millions of Indonesian Rupiah – just hundreds of British Pounds. 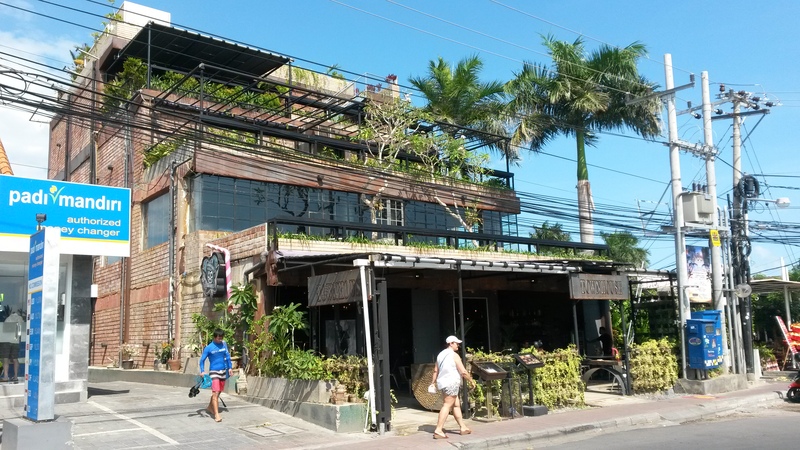 I particularly liked the modern buildings of Bali – hotels, restaurants and boutiques –which tend to be owned by the Chinese, Australians, French or Italians apparently. Potato Head Beach Club (Bali’s equivalent of Mahiki) is respectful (architecturally anyway) and features palm trees and teak throughout. The same goes for the boutiques in the Oberoi area. There are temples everywhere. 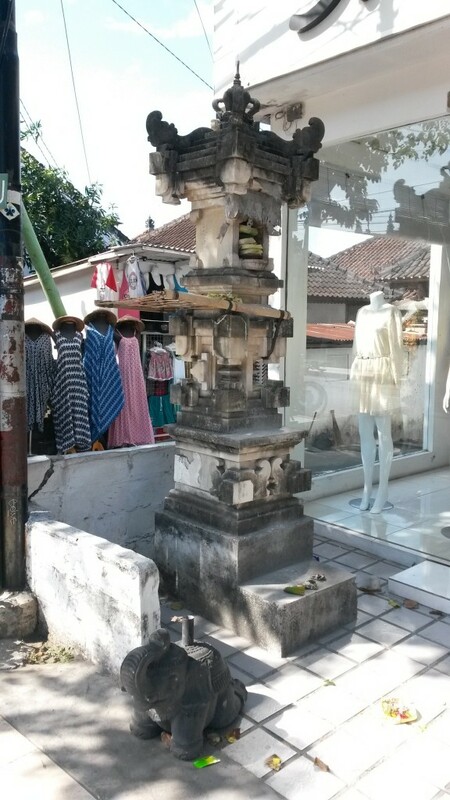 In Seminyak, not far off every other building is a temple or shrine. Some serve a single family, others a street, community or region. I could explore for months.